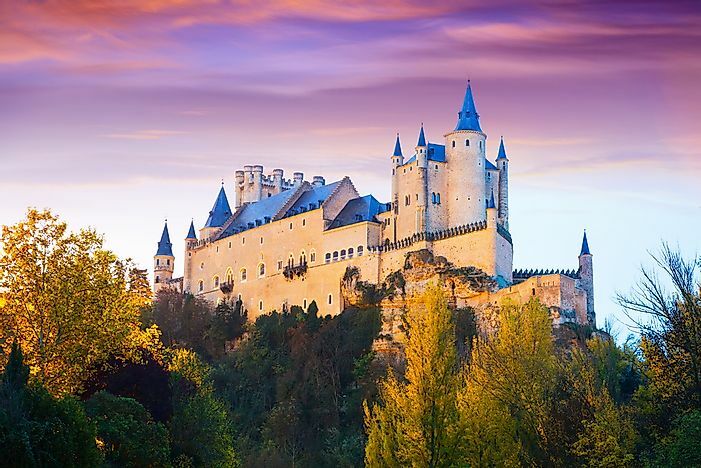 Explore some of the world's most amazing Medieval castles. Corvin Castle is one of the largest castles in Europe. Tintagel is a Cornish term which means fort of constriction. Tintagel Castle is a medieval fort on the Cape of Tintagel Island bordering Tintagel village in northern parts of Cornwall. Richard, the first Cornwall Earl, built this castle during the 13th century, but it fell into ruins during the late medieval era. Tintagel is associated with the legends of King Arthur. Owned by Prince Charles, the castle is managed by the English Heritage and has been a unique tourist attraction since the 19th century. Also known as Hunedoara or Hunyadi castle, this is a Gothic-Renaissance Romanian structure in Hunedoara. 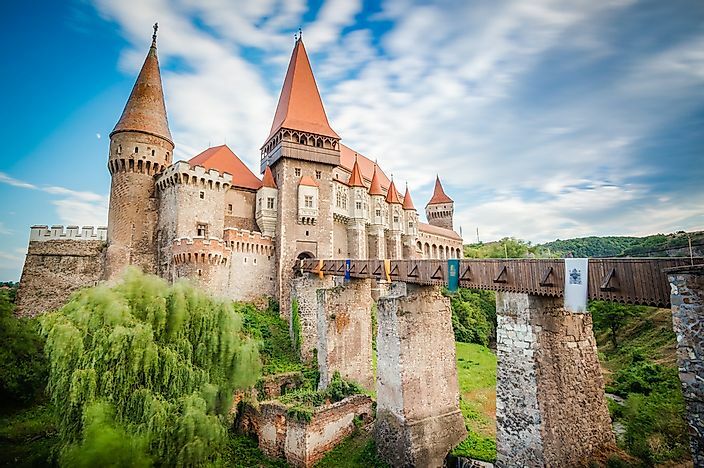 The Corvin is one of the largest castles in the continent and is one of the seven Romanian wonders. The plans to construct the fort were laid-out around 1446 and orders to build the structure were given by John Hunyadi. Developed over the previous fortification on the rock above River Zlasti, Corvin castle is one of the important properties of Hunyadi and where he held Vlad III as a prisoner. Located in Segovia city, the Alcazar is one of UNESCO’s world heritage sites. The Segovia fortress was built on a rocky crag on the convergence of 2 rivers next to Mountain Guadarrama. Due to its bow shape, this is one of the most distinctive Spanish castle-palaces. Initially, it was to be a fortress, but it served as a military academy, palace, and the state’s prison. Currently, it serves as an army archive and museum. Eltz castle is one of the medieval fortifications on Rhineland-Palatinate which survived the medieval era. Eltz is nestled on the hills above River Moselle and between Trier and Koblenz. Eltz is still under a branch of Eltz family which lived here 33 generations ago during the 12th century.The castle is surrounded by River Elzbash a tributary of Moselle, and it is on a 230ft rock spur which used to be an essential Roman trade route. The construction of the castle began as a simple earthen palisade manor during the 9th century. The castle is the Royal Windsor residence in Berkshire County, and it is famous for its long association with the British royal family. William the Conqueror constructed the original structure in the 11th century, and the reigning monarchs have used it since the era of Henry I. The Windsor was the refuge for the royal family during the 2nd world war and is a popular tourist attraction. Currently, it is the preferred venue for hosting all the state’s visits and Elizabeth II’s preferred weekend home. 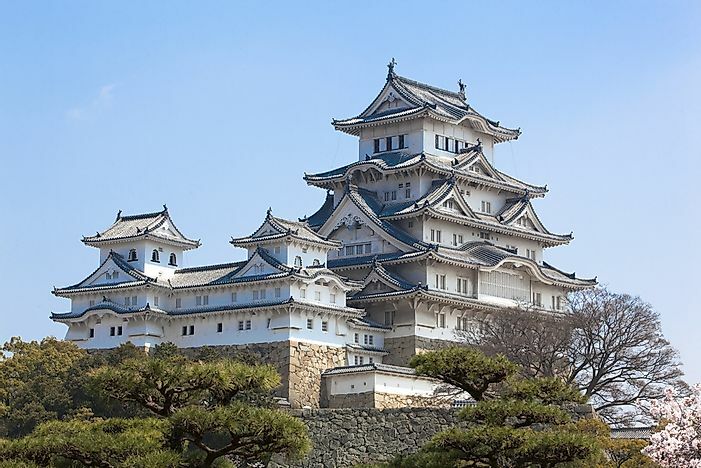 Himeji castle is the most significant surviving prototypical Japanese-castle style with a network of about eighty-three buildings. Located in Himeji city, Japan, this is a hilltop castle complex whose history dates back to 1333 when Norimura constructed a fort on the hill of Himeyama. It was later dismantled and reconstructed as the Castle of Himeyama in 1346 which was remodeled two centuries later as Himeji castle. The castle is the most toured castle in Japan which UNESCO registered as the first World Heritage Sites in 1993. The Edinburgh ancient castle dominates Edinburgh’s skyline from its location at Castle Rock. The Rock had hosted a royal palace since the reign of David I in the 12th century, and it served as the royal castle until 1633. The palace became a part of national heritage during the early 19th century, and it has undergone restoration for the last one and a half centuries. Research conducted in 2014 confirmed that the castle had experienced 26 sieges thus making it the most besieged fortress in the United Kingdom and the most attacked on earth. Located in Hever village in Kent, the castle started as an ordinary country house which was built during the 13th century. It served as the seat for the Boleyn family from 1462 to 1539. In 1505, Thomas Boleyn inherited the castle where he lived with his family including Anne (who became Henry VIII’s wife). Henry VIII inherited the property after Thomas died. Over the centuries the castle has changed hands, and currently Broadland Properties Limited owns Hever. Although the estate is a conference center, the grounds and castle are opened to the public. Located in Bojnice, Slovakia, this medieval castle was constructed during the 12th century. 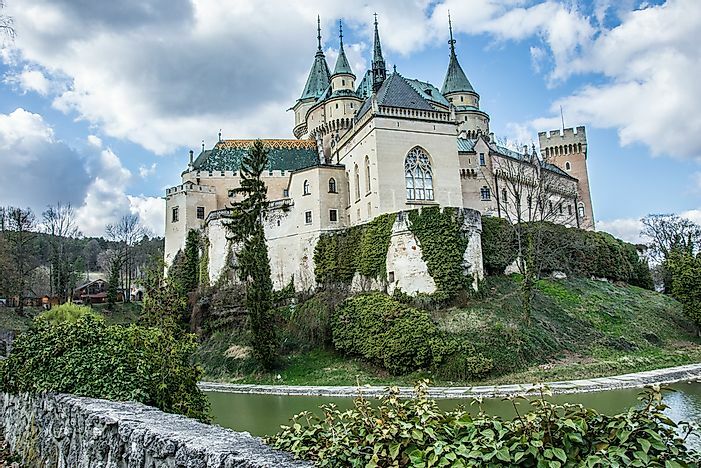 Commonly known as the Romantic castle, Bojnice is the most toured castle in the country which receives hundreds of thousands of visitors annually, and it was the famous filming stage for fairy-tale and fantasy films. Fire destroyed the Bojnice on May 9, 1950, but it was reconstructed by the government and then converted to a museum. Currently, it is part of the Slovak National Museum. Located near Bran, at the border between Wallachia and Transylvania, the fort is a national landmark and monument in Romania. Commonly known as the Dracula castle, the castle has been linked with the legends of Dracula. Initially, Bran was a wooden structure built in 1212 by the Teutonic Knights. Currently, it is a museum dedicated to Queen Maria’s collection of furniture and art. The castle is on a small tidal island where the three sea lochs (Alsh, Long, and Dutch lochs) meet. The beautiful Eilean Donan which appears in televisions and films dominate the island, and it is approximately 0.62 miles from Dornie village. Built during the 13th century, and it became clan Mackenzie’s stronghold. The castle was destroyed in 1719 during the Jacobite rebellions, but it was reconstructed to its present structure by Lieutenant-Colonel Macrae. Bodiam is a fourteenth-century moated structure which is near Robertsbridge. The castle was built by Sir Dalyngrigge Edward in 1385 to defend this region against the French during the 100-years war. 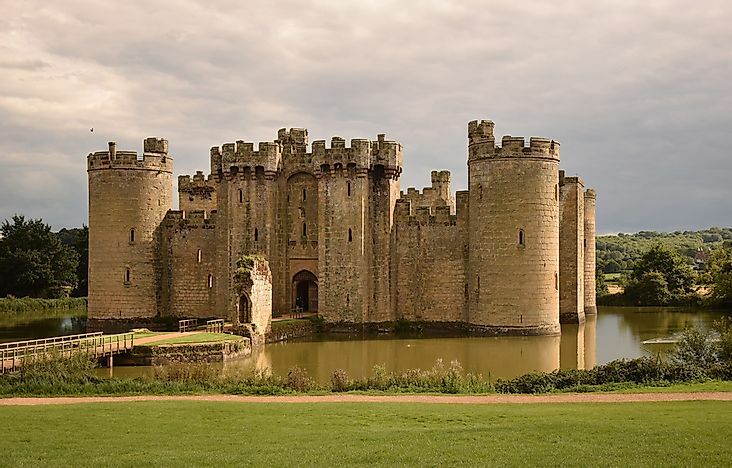 Bodiam was passed down for several generation s of the Dalyngrigges, and it was passed to the Lewknor family by marriage after the extinction of the Dalyngrigges line Lord Thanet sold the castle in 1641. John Fuller bought it in 1829 and restored it to its current state. It was donated to the National trust in 1925 by Lord Curzon after his death. The castle is on the Festungsberg hill on the Austrian city in Salzburg. It is one of the oldest European medieval castles in Salzburg which is at an altitude of approximately 506 miles. The construction of the fortress started in 1077 under Archbishop Helfenstein. It served as a prison for detaining Italian prisoners during World War 1 and in the Nazi activists during the 1930s. Located in Arundel England, Roger de-Montgomery established the fort on the Christmas day of 1067. The fort served as a home to the Duke of Norfolk for over four centuries, and it was the principal seat of the family of Howard who was the first Earls and dukes of Arundel. Although it is the seat of the dukes of Norfolk, the grounds and most of the castle is opened to the Public. 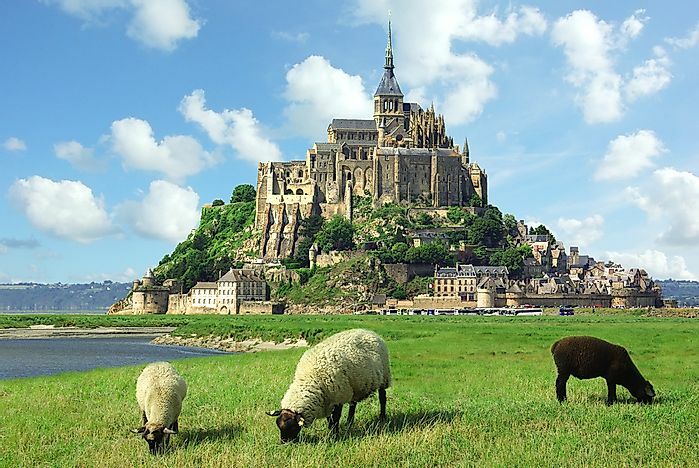 Before the erection of the first structure in the 8th century, this island was known as Mont Tombe, and it’s believed that in 708 Angel Michael appeared to Avranches Aubert and told him to build the monastic structure on the Island. The English tried unsuccessfully to take over the island during the Hundred-Years war. By the period of the French revolution, there were no monks on the island; therefore, it was converted into a prison. The prison was closed around 1863, and in 1874 it became a national monument. Mont is one of the most toured regions in France getting over three million individual annually.